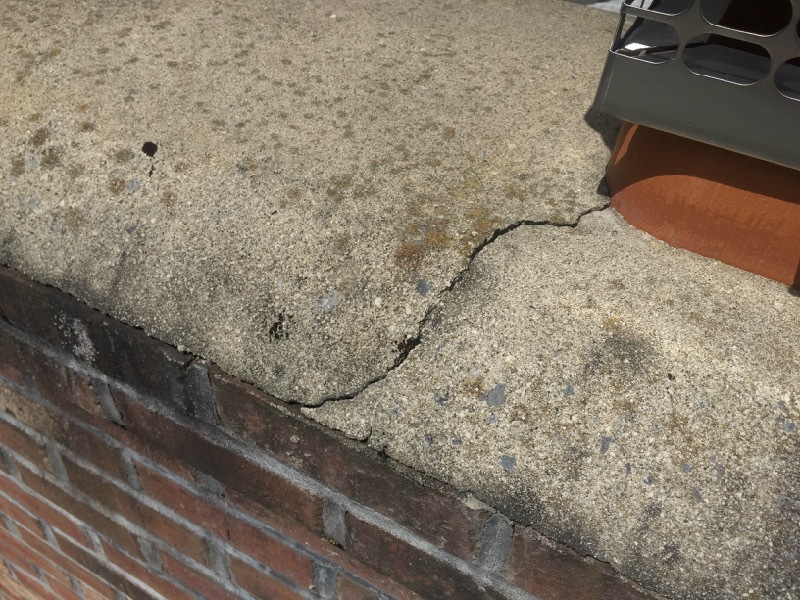 In the first home inspection picture we see a crack in the crown of a chimney. It seems small now, but over time this crack can become larger and begin to allow moisture intrusion. 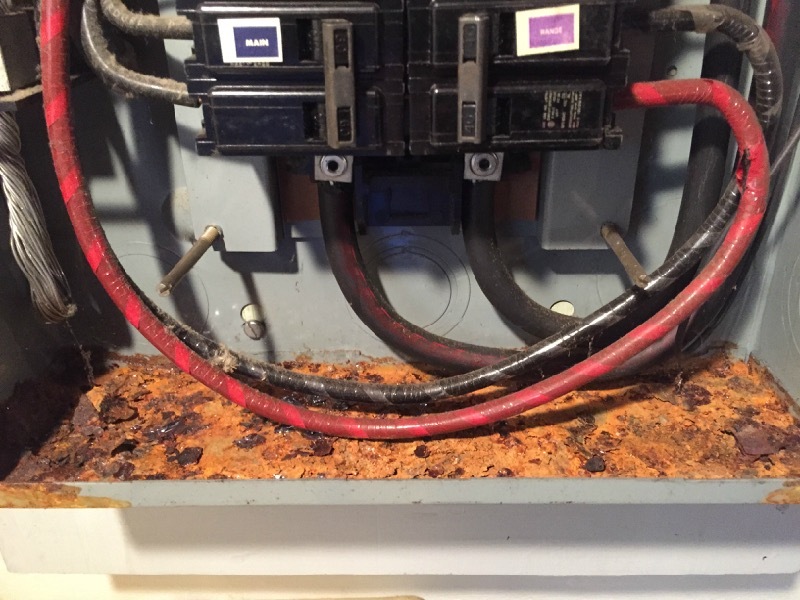 In the picture below we see rust at the bottom of an electric panel. In this case it appeared the moisture was coming in likely from the meter box and down the service wire. A great example of why we need to seal the service entry point in the meter box. NJ Home Inspections - What do you think of when you hear the words "home inspection". For some, it is a scary process filled with information that you may not have wanted to know about. But for most it is a fantastic learning experience and a great way to go into your home with "eyes wide open". A home inspection is typically described as "a visual inspection of the home and its components". So what does that include? It includes quite a bit: Roof, plumbing, heating, cooling, electrical, attic, structure, and much more. Remember though, that it is a "visual" inspection. So no matter how much a home inspector would love to tell you whats behind a wall, home inspectors unfortunately do not have x-ray vision. 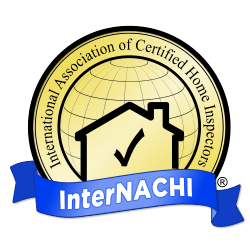 Overall, a home inspection is a fantastic learning experience, and a critical part of of the home buying process. Questions? Contact me and I will be happy to help! 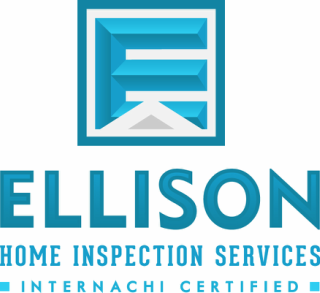 Home Inspections in Livingston, Florham Park, Roseland, Essex Fells, and Surrounding Areas of New Jersey! Termites in New Jersey - Here in NJ we we have to contend with many types of wood destroying insects, especially termites. No one likes to hear that word "termite", but it is something to keep in mind when buying a home or even checking the home you live in now. First of all, you should always hire a qualified pest inspector to properly check for termites on a regular basis. But in the meantime, make sure you check your home for mud tubes. Also, every insect's damage looks different, so don;t mistake termite damage for carpenter ant damage (as many do). 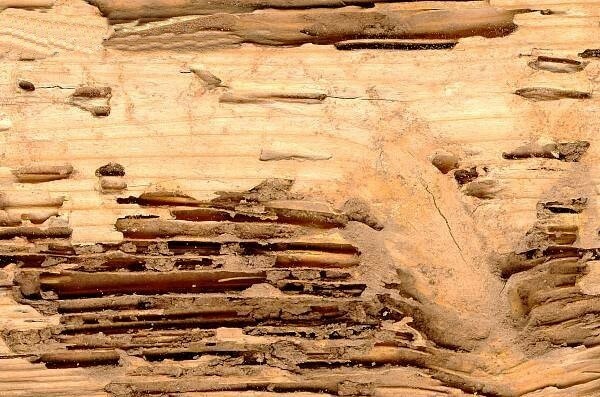 Below is picture of termite damage that you can compare to. Questions? Contact me! Flood Zones in New Jersey - Many clients are concerned with flood zones, especially since hurricane Sandy. How can you tell if the home you are buying is in a flood zone here in NJ? One thing you can do is use this free FEMA Flood Zone Tool. After you enter your address, it will tell you what your flood risk level is. After that, contact me for a thorough home inspection and we will inspect for signs of possible previous flooding. In this post, we wanted to remind everyone of our general home inspection service areas: Serving Livingston, Florham Park, Roseland, Essex Fells, and Surrounding Areas of New Jersey. Need a home inspection, but don't see your service area above? Contact me and I will be happy to help! Florham Park Home Inspections - All I have to say about Florham Park Home Inspections is: COLD! What a cold and snowy winter. But the cold and snow has not stopped me. 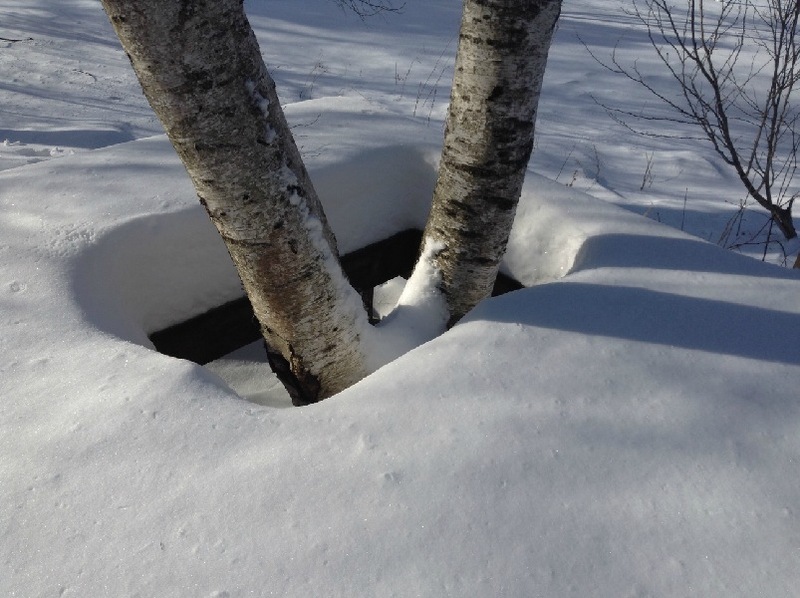 home inspections here never really stop, and if you are buying a home Florham Park NY, I want to give you the best home inspection possible - regardless of the snow and cold. Florham Park Home Inspections require a certain type of home inspector that can handle the cold, and I pride myself on being that kind of home inspector. Even so, I am glad to see Spring on the way! In this month's home inspection picture, you will see a deck built around a tree. The only problem is the missing handrails... Fortunately there was only one foot of snow instead of the usual three foot we had this winter. 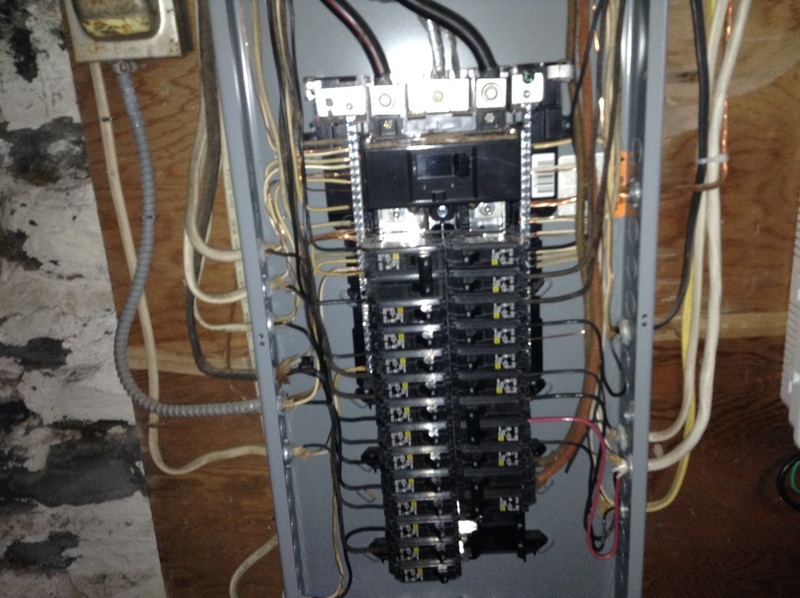 In this month's home inspection picture post, we have the inside of an electric panel. Take the time to read the information here: http://www.nachi.org/electrical-service-panels.htm. It will give you a great head start on your home inspection! Livingston NJ Home Inspectors - As I type those words I think about all of the homes that I have inspected here in Livingston. Livingston home inspectors need to be a special breed here. But I also think about all of the Livingston home inspectors who have come and gone. There seems to be a high turnover rate for new Livingston home inspectors. One of the reasons I think this is the case is because new Livingston home inspectors seem to think that performing home inspections is easy, but that is far from the truth. Livingston NJ home inspectors require heart, a strong work ethic, and a great deal of care for their client and their craft as a home inspector. Are you searching for a Livingston home inspector? Contact me, and see why so many people continue to choose us for their home inspection needs here in Livingston NJ!